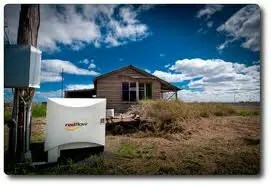 Australian based zinc bromide battery developer RedFlow says it has boosted its fund raising by one third after being overwhelmed by demand from shareholders. The battery storage company – the only one of its type on the Australian Stock Exchange – had sought $6 million in two for seven entitlement offers to existing shareholders. The company says the offer was heavily supported by shareholders, with the company receiving demand in excess of the total number of new shares available. Applications for new shares totalled approximately $8.21 million resulting in oversubscriptions of approximately $2.15 million. Recently, RedFlow announced their teaming with Schneider Electric that will see the companies collaborate and develop energy storage systems incorporating the Red Flow battery. In May the company launched plans for $6 million in capital raising, to put towards developing its unique energy storage technology and to help bring the company into a cash flow positive position. In March, the company revealed it was targeting a 40 per cent cut in the capital cost of energy storage systems by the end of 2015.